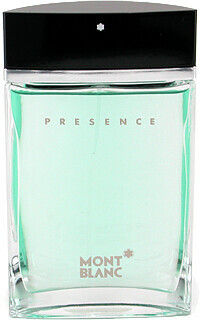 Montblanc Presence is about the presence of a man in a woman's life. Presence embodies his personality, his charisma, his aura, his scent. His presence in turn, evokes her emotions. This ethereal fragrance with top notes of bergamot and ginger, balances the heart and mind. The freshness of bergamont embraced by the spicy warmth of ginger, cardamon and cinnamon. Scaling new heights of traditional distinction with sage, apple and heliotrope. Masculine sensuality through tonka bean and amber, infused with sensual sandal wood and musk. Montblanc Presence Eau de Toilette Spray 50ml is rated 5.0 out of 5 by 1. Rated 5 out of 5 by Valsean from Worn often. A very pleasant fresh linen scent, great anytime of day.